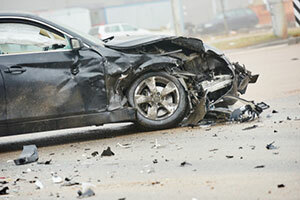 Car accidents can have life-changing consequences. While some crashes are merely an inconvenience and cause no serious harm, other types of accidents lead to serious injuries and even death. If you have been injured in a car accident caused by someone else’s negligence, the Maryland car accident lawyers at Burgos & Burgos can help. At our firm, we are committed to thoroughly examining the facts of each client’s case and helping them secure the compensation that they are entitled to obtain for their harm. We represent victims throughout Montgomery and Prince George's Counties, as well as in Washington, D.C. Everyone on our staff can speak Spanish fluently for the convenience of our clients. In Maryland, there are an average of more than 100,000 car accidents each year, killing an average of 635 people and injuring more than 55,000, according to the Maryland Motor Vehicle Administration. The staggering statistics from 2003 to 2007 reveal that out of the 103,734 average accidents that took place per year, 580 of them were fatal, while more than 36,000 involved injuries. Fault in a car accident case is typically established by proving negligence. This occurs when a person causes an injury or death because of their failure to use reasonable care. Reasonable care refers to the level of care that a prudent person would use in the same situation. For example, a driver of a car or truck who causes an accident due to excessive speeding would likely be considered negligent. This is because a prudent driver would understand the risk of car accidents associated with excessive speeding. In a negligence case, a car accident attorney in Maryland essentially needs to prove that the at-fault party owed the plaintiff a duty of care, the at-fault party breached the duty of care owed to the plaintiff, and the at-fault party’s unsafe driving was a direct cause of the accident and the plaintiff’s resulting harm. It is important to be aware that Maryland is a contributory negligence state, and Washington, D.C. also follows this rule. This means that whether you were hurt in a car accident or another incident, such as a slip and fall, your right to compensation depends entirely on your ability to prove that you were not at all at fault for the accident. After a car accident, victims often need to miss work because of their injuries. In addition, dealing with those injuries can mean mounting medical bills. To address these concerns, plaintiffs who establish negligence can recover a broad spectrum of damages from the defendant. In Maryland or Washington, D.C., a plaintiff can seek compensation for medical expenses, rehabilitation costs, pain and suffering, property damage, lost wages, and any other losses stemming from the accident. Of course, the exact amount of compensation that a plaintiff will be entitled to receive will depend on the extent of the harm suffered. Contact a Knowledgeable Car Accident Lawyer in Maryland or Washington, D.C. If you or someone close to you has been injured in a car accident, you should not need to figure out your next steps alone. We understand the physical, financial, and emotional toll that a car accident can take on a victim and their family. At Burgos & Burgos, our injury attorneys can help you understand your rights and options at every step of the way. These cases can be challenging and stressful, but having a capable legal team can make all of the difference in your situation. We represent victims in Silver Spring, Takoma Park, Wheaton-Glenmont, Hyattsville, and other communities in Montgomery and Prince George's Counties, as well as Washington, D.C. To discuss your case in more detail with a Maryland car accident attorney, call us at (301) 681-1111 or contact us online. We also represent people who have been hurt in slip and falls, incidents of medical malpractice, construction accidents, and accidents on the job.